Since 2005, Taste of Soul (TOS) has remained the heartbeat of South Los Angeles by bringing together the Black community for a fun-filled day of all things soulful including food, live entertainment, community resources, from local businesses and organizations and so much more. 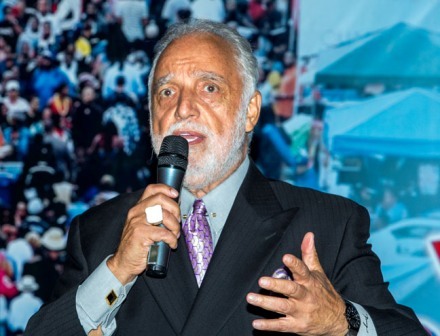 As the festival completes its 12th successful year, none of this would have been possible without the help of key community members, and TOS partners Mother’s In Action, Brotherhood Crusade, the city of Los Angeles, the county of Los Angeles, Radio FREE 102.3 KJLH, 94.7 The WAVE, CBS 2/ KCAL 9, and African American Unity Center (AAUC). “This family festival first began when I was mayor, and I couldn’t be prouder to be here with my friend and brother Danny Bakewell Sr., to celebrate the Crenshaw community that is the heart of South L.A. and the soul of Los Angeles,” said former Mayor of Los Angeles Antonio Villaraigosa. TOS sponsors Hyundai, City National Bank, Airbnb, McDonald’s, Kaiser Permanente, South Coast Air Quality Management District (AQMD), Metro, Bank of America, Ivie, McNeill & Wyatt Law Firm, Wells Fargo, Chase Bank, Plenary Infrastructure Airports, California Resources Corporation, Metropolitan Water District, West Basin Municipal Water District, Walsh/Shea, USC, Los Angeles World Airports, SEIU Local 2015, Brotherhood Crusade, Greyhound, Californians For Energy Independence, US Bank, Uber, Watts Health, AT&T, Nestle Waters, Comerica Bank, UCLA Health, UCLA, Charles R. Drew University, Walmart, Southern California Gas Company, Super Heroic, DaVita, Metro PCS, LA City Workforce Investment Board, Burden to Bear, Cedars-Sinai Medical Center, City of Hope and Encore Capital Group also played a vital role in putting on this year’s festival. Year-after-year Bakewell Media holds a Taste of Soul VIP Reception at the California African American Museum in Exposition Park the evening before Taste of Soul, as special thanks to all those who continue making TOS L.A.’s largest street festival. 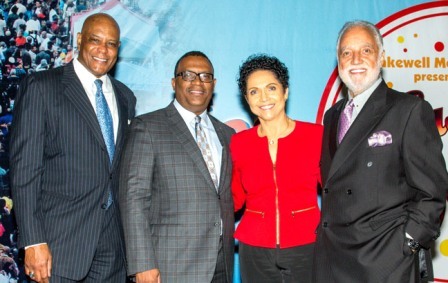 “LA Metro has been a sponsor of Taste of Soul for many years and we are happy to sponsor this event said Los Angeles County Metropolitan Transportation Authority (LA Metro) Metro CEO Phillip A. Washington. Ivie, McNeill & Wyatt (IMW) Law Firm joined by IMW partners Rickey Ivie, W. Keith Wyatt, Eulanda Matthews, Byron Purcell, and Rodney Diggs sponsored this year’s VIP reception. 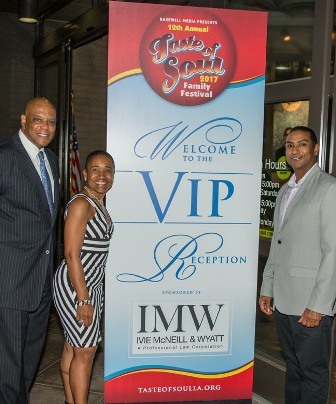 “Ivie, McNeil & Wyatt is so excited this year to be the sponsor of the VIP Reception that’s held the evening before Taste of Soul at the California African American Museum. We couldn’t be more pleased to be a part of this community event,” said Ivie McNeil & Wyatt Director Matthews. The event brought together TOS Chairs, Mayor Eric Garcetti, City Council President Herb Wesson, Councilmember Marqueece Harris-Dawson, and Supervisor Mark Ridley-Thomas and Co-Chairs, Congresswoman Karen Bass, Councilmember Curren Price, Assemblymember Reggie Jones-Sawyer, Assemblymember Autumn Burke, Assemblymember Sebastian Ridley-Thomas, LAUSD District 1 George McKenna, KCBS- Channel 2, Pat Harvey, and IMW, for an evening of networking, good company, and exquisite food and drinks, provided by LeSassier Catering, Nestle Waters and Pucker Up Lemonade. In honor of the festival’s theme, “Salute to Motown”, reception attendees jammed to classic Motown hits. The evening’s entertainment didn’t end there. Guests were blown away when StarQuest 4 Kids finalist Jhala Angelique took the stage and showcased her vocal talent, all while lifting the spirits of the audience during her performance of the song “Rise Up” by singer Andra Day. Toward the end of the night, guests worked their way over to the photo booth were they created mementos of the occasion. The following day, in continuance of Bakewell Media’s gratitude, sponsors, partners, and elected officials, including Deputy Mayor Brenda Shockley (who represented Mayor Eric Garcetti), NNPA Chairman and Chicago Crusader Publisher Dorothy Leavell, and NNPA President and CEO Dr. Benjamin F. Chavis, Jr. were welcomed to lounge inside the Taste of Soul VIP Courtesy Tent, sponsored by Airbnb, Community Resources Corporation, and Californians for Energy Independence. In the tent, city officials, organizations, notables, and business executives, were served cuisine from Mrs. Bea’s Catering, fabulous desserts from Serendipity Tasty Treats, with refreshments from Pucker Up Lemonade and Nestle Waters, and their very own DJ. Leavell and Chavis describe the Taste of Soul family festival as a “wonderful event” and were proud to join the city of Los Angeles in the celebration of Black culture. “We’ve come all the way from Washington D.C. , the national headquarters of the National Newspaper Publishers Association to salute Danny Bakewell, Sr., the Los Angeles Sentinel, The L.A. Watts Times, and to salute Taste of Soul. I can’t think of a better place to be in the whole world than to be at the 12th annual Taste of Soul,” said Chavis.